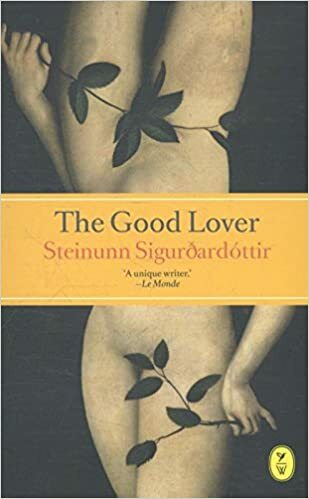 Today I am reviewing a book from Icelandic author Steinunn Sigurdardottir. She has written poetry and short stories as well as novels and received the Icelandic National Prize for Literature in 1995 for her novel Heart Place. In this novel, Karl Astuson is The Good Lover of the title and a successful business man who is a bit of a ladies man. He clearly has had many lovers though rarely has been in love. One woman has stayed in his mind though, one woman he can’t forget – Una – and he returns to Reykjavik to try to track her down and rekindle their relationship. Karl is a very interesting character. He was brought up by his mother who died when was only 18 and with whom he had a very close relationship: “I had a mom who was so wonderful that it’s practically incomprehensible…… If I hadn’t had this mother, I would never have believed in dreams and fairytales…. And if that makes me a mama’s boy, then I’m going to be one until I die.” His obsession afterwards with Una has coloured all his relationships with women. For all he has had so many women in his life, he has denied himself fulfilment and happiness both physically and emotionally. Just as he is beginning a new life with Una and looking to the future, a book which is clearly about him is published by one of his many ex-lovers and threatens their happiness. It was so funny reading about him slowly coming to realise that the book was about him! Then something happens soon after which makes him really examine his attitude to some of the women in his life. This was a particularly poignant part of the story. You can tell the author is a poet as well as novelist as her writing is so lyrical. One tiny criticism I have is that there are very few chapters, or even breaks within each chapter, making it a bit difficult to find a suitable place to stop. Philip Roughton’s translation is excellent and I’m not surprised to find that he has won awards for his work, having translated the work of many successful Icelandic authors. This probably isn’t a book I would have chosen to read had I not been offered it. I don’t think I would have come across it otherwise. I am very glad I did though, as it was a witty and enjoyable read. The Good Lover tells the story of Karl Ástuson, a charming businessman. He was raised by an excessively indulgent and overprotective mother, who died when he was only eighteen years old. This loss has profoundly impacted Karl’s life and his dealings with women. Karl’s love life consists of a string of meaningless affairs. The only woman who came close to his ‘perfect’ mother, was his first and only love Una. At twenty years old, after dating for a couple of months, Una left him without as much as an explanation. Years later, despite the wealth and female attention he now enjoys, Una has left a void within Karl that he seems unable to fill. Impulsively and uncharacteristically, he travels back to Reykjavik, and finally wins her over. Before they have the chance to live out their happy ending, Karl’s womanizing past catches up with him when an ex immortalizes him in a novel as ‘the good lover’. Steinunn Sigurðardóttir has written an intriguing, unusual and beautiful novel about the messiness of love that will stay with the reader for a long time.